It is not difficult to imagine that God, the Creator of all life, is able to preserve the Word He wrote down through the ages and is able to guide those who seek Him in its proper interpretation. I am constantly reinforced in my thinking as I grow in the Lord that almost all confusion about God’s Word can be dissolved by having a right view of God – His character and His supernature – and a humility leading to subjection to Christ’s authority which comes by having that right view. Would God, who desires all men to be saved [1Timothy 2:3-4], not make known His Word, preserve His Word and teach those seeking Him its proper interpretation, being the only source of information about Jesus Christ in whom we have eternal life [John 3:16, 5:39]? If not, God could then be considered either incapable of doing so or cruel to have us, who genuinely desire Him, be deceived and condemned by the uninspired and changing literature of fallible men. Inspiration of God’s Word. 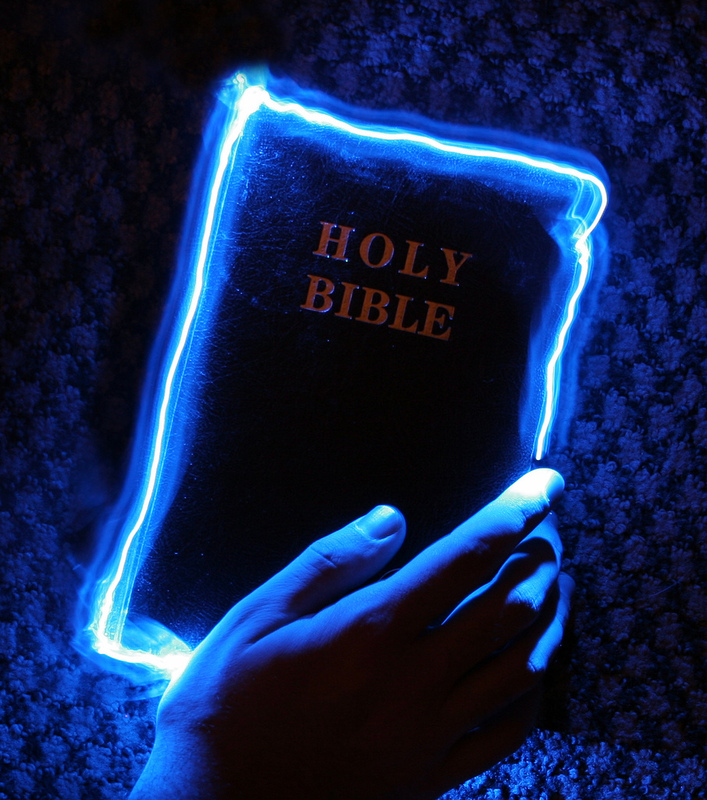 The Bible is the inerrant Word of God written by men under the inspiration of the Holy Spirit [2Pe 1:19-21]. These sixty-six books we can hold in our hand as one are God’s truth [Psalm 119:160]. This means we can know truth [John 8:31-32] and it is true for us in all things, always [2Ti 3:16-17]. We are not able to come to this understanding without the Holy Spirit [John 14:26] which leads us to the preservation of God’s Word through time. Preservation of God’s Word through Time. The Books of the Bible were written over a span of 1500 years by almost 40 human writers who were inspired by the Holy Spirit [2 Peter 1:20-21]. Jesus verbally confirms the preservation of the OT in Luke 24:44 and Matthew 23:35. Two additional biblical examples we can point to illustrate that God preserves His Word through time are the events at Pentecost in Acts 2 and the Christ-likeness that believers demonstrate as promised within Scripture [Rom 8:28-29]. Acts 2. After Jesus descended into Heaven, the Apostles were gathered together in the upper room. The Holy Spirit descended upon them and they began to speak in tongues to “Jews living in Jerusalem, [and] devout men from every nation under heaven” in the streets outside [Acts 2:5]. As a result, 3,000 people were saved [Acts 2:41]. How? They understood what the Apostles were saying, each in their own language [Acts 2:6]. From this, we can conclude that the Word of God does not lose its power when translated into another language and has only one meaning because if there was something lost in translation or if the words they spoke had more than one meaning, people would not have been saved and would not continue to be saved today [Jas 1:21]. Christ-likeness. The true believer’s Christ-likeness is a result of Salvation [Gal 5:18-24]. This is an incredible testimony to believers who may doubt that God’s Word has been preserved through time and to unbelievers who doubt the Bible was ever the inspired Word of God. For the believer who doubts, if God’s Word has not been preserved, then neither has the Salvation it speaks of. In fact, I submit to you that we would never even arrive at the conclusion that we do need Salvation. For the unbeliever, if God’s Word has not been preserved then there is also no hope for Salvation. The fruit of the true believer offers the greatest tangible evidence of the preservation of God’s Word [Mat 7:17-18]. God has preserved His Word throughout time. Therefore, we can conclude it does indeed have only one interpretation. Single interpretation of God’s Word. One of the most obvious Scriptural arguments to be made concerning its single interpretation is that the Holy Spirit, the Author of Scripture [2Pe 1:20-21], who teaches us in the Word [John 14:26] cannot contradict Himself [John 16:13] since He is God [Eze 36:27]. Therefore, multiple interpretations leading to inconsistent conclusions cannot be true.